Over the years, this festival has grown to one of the spring’s most anticipated festivals in Martin County, just north of Palm Beach County in Stuart. 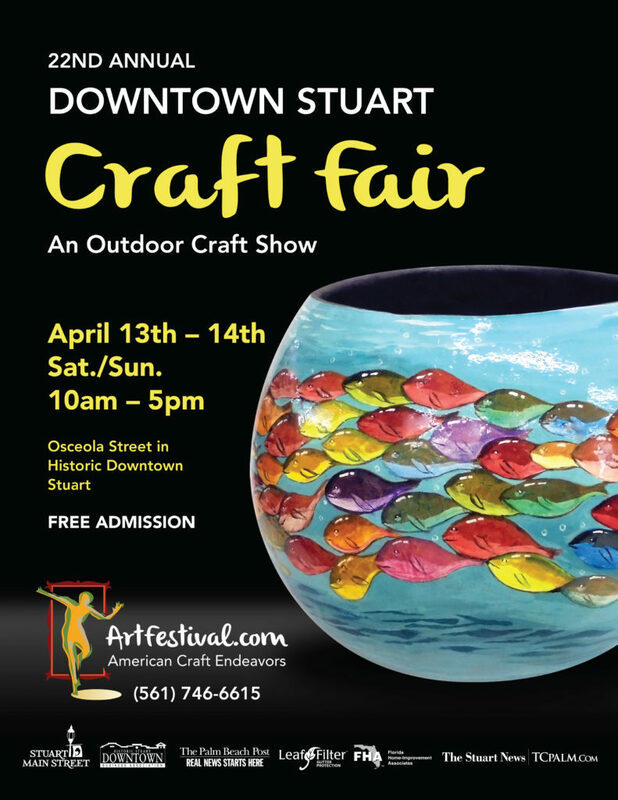 This outdoor craft show is set up along Osceola Street in Downtown Stuart’s historic waterfront area. This event brings together some of the best crafters in the nation with paintings, wooden sculptures, ceramics, one-of-a-kind jewelry, handmade baskets and much more. An expansive green market compliments the weekend with plants, delicious dips, and homemade soaps.